Integrated project delivery--IPD--aligns the interests of the owner, designers, and contractors with the overall success of the project, and reduces risk for everyone involved. Integrated project delivery, or IPD, is at first glance simply a contract mechanism. Like other common structures, including design-bid-build and design-build, it is a legal framework that the owner, the architect, and the builder can use to collaborate on a design and construction project. Specific IPD contract documents have been developed by several organizations, including The American Institute of Architects (AIA), which released in May 2008 a version of IPD that joins the library of contract templates the organization publishes. 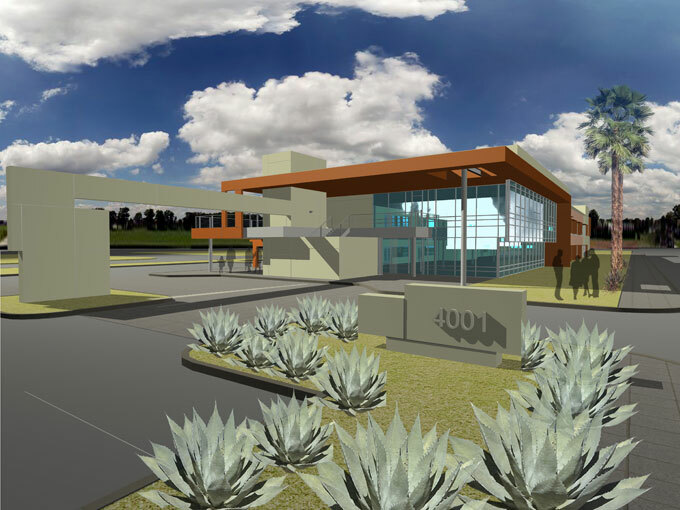 WWCOT has designed this 22,000-ft2 (2,000-m2) office building in Palm Springs, California, to share with the builder, D. W. Johnston Construction. The parties used integrated project delivery to structure a collaborative process. IPD represents more than a legal framework, though. “IPD is part of an entire industry transformation,” says Markku Allison, AIA, resource architect for AIA as well as its in-house IPD expert. Allison points to several factors driving that transformation, principally a growing awareness of waste and inefficiency throughout design and construction, and growing demand from owners that project teams meet agreed-upon budgets and schedules. Aggressive environmental goals, including specific targets for certification through the U.S. Green Building Council’s LEED rating system, have become more common, along with recognition of the benefits of the integrated design process. Finally, building information modeling (BIM) software methodology has the potential to revolutionize design and construction but is straining against conventional legal structures. Any one of these factors represents upheaval in the industry. Harnessed together under the engine of IPD, all of them are bringing about a new order based on lean and green construction supported by greater collaboration. IPD is not yet widely used, but advocates and early adopters say that it is only a matter of time before it becomes common practice.